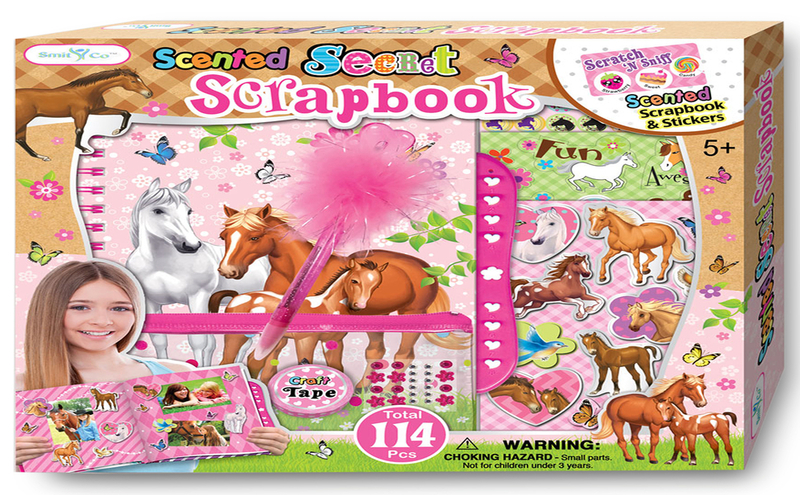 The folks over at SmitCo recently sent me the Scented Horse/Pony Themed Beginner Scrapbook Kit For Girls to review. My granddaughter loves horses so you can imagine how big her eyes became when she saw this. 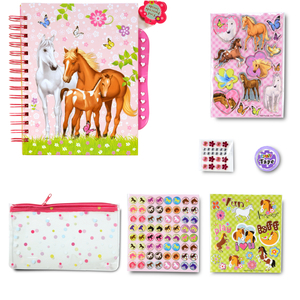 Now let me tell you a little about this wonderful Scented Horse/Pony Themed Beginner Scrapbook Kit For Girls Age 5 And Older First off there are over 114 pieces so you know this kit is going to keep her entertained for hours maybe even days. The 60 pages are pre-printed so you don't have to buy scrapbook pages and they are adorable. My granddaughter loves this kit. She has spent hours and hours on her personal scrapbook. So head on over to https://www.smitcollc.com and check out all their products Its never to early to shop for the holidays that will be here before we know it and for a limited time Freebies for Friends Members can take 20 % off your ENTIRE cart Just use promo code N3CQD6AE to save!